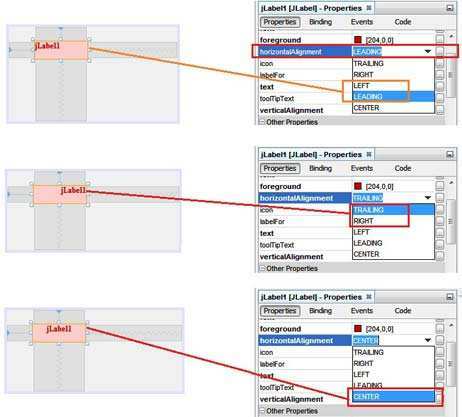 In NetBeans, jLabel play a different types of roll in programming an application. jLabel has capability to show images on your application. It can also show the different type of appearance style in java. There is no need to add any image viewer to show image. 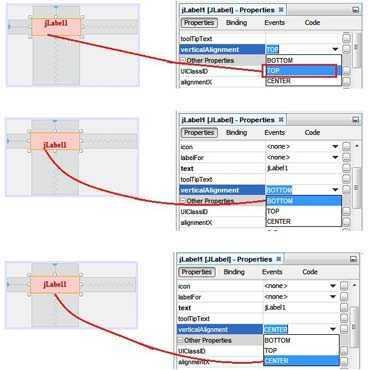 So, let's Learn how to change jLabel style and design setting in java NetBeans. Now, lets start with step by step process. First of all you have to understand the property of any control in java NetBeans. Maximum setting will be done through mouse click on Properties window. You can add this window on any side or open it through right click of any control. So, First we Set background color of jLabel. 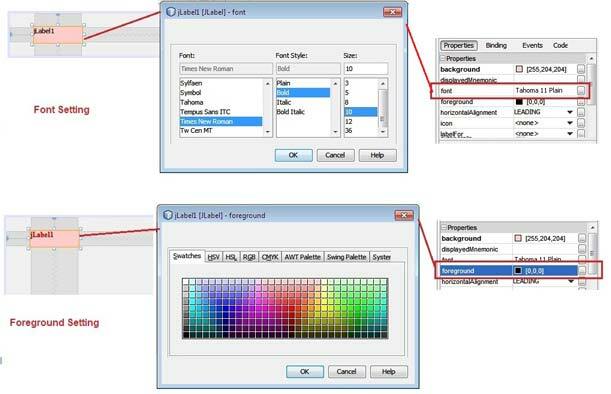 If you think that is simple to go to properties window and click on “background” option and choose any color to set back style. Then you are wrong, there will no changes on it like bellow image. 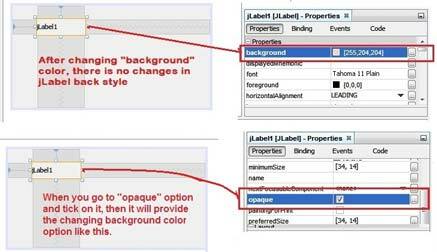 As you can see that you have to setting on two option first “opaque” and then “background” option for color selection. Go to “opaque” option and tick mark on it. After that go to “background” option and choose desire color. For font setting just go to “font” option of Properties window and choose font name, size and type. And in same way go to “foreground” option and choose font color whatever you want just describe and mention in bellow image. whatever color or font you choose from this settings for your application. there is following code of horizontal alignment, you can use without properties setting. You can use code for vertical alignment at run time. When you select any one of these options, the text will adjust according to alignment setting like bellow. In this way we can set the alignment of text. For border setting just apply the same process and select “border” option. In this option there is following border style option will show. You can see there is different types of border style option. You can choose anyone step by step and fix whatever is looking stylish or desire. In this way you can set background, foreground, font, alignment and border style of jTable in java. You can easily handle it with GUI base and change jLabel style and design setting in java NetBeans.